Lovelies in my Life : A March Giveaway! I'm so excited to have this sweet little giveaway planned for you, dear readers! There's a lady here in Green Bay who creates these awesome quilts for one of the thrift stores in town, a store that offers some incredible programs and works hard to provide for people in our community that are in need. 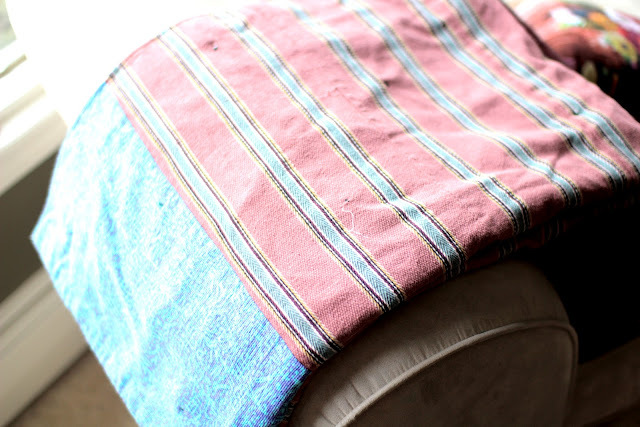 She sews these blankets out of all the scrap fabric that is given to her and comes up with wonderful pairings and designs out of the mismatched pieces. Today you can enter to win the quilt photographed, the top side pictured below and the bottom side photographed in the last picture. We adore quilts at our home and have several of them, folded in our living room to grab quickly when we snuggle in for a movie night and also on every bed in the house. They're a favorite for all of us! 1. You must be a follower of this blog (and we'd love to have you if you're not, so follow through google friend connect at the left sidebar). 2. Leave a comment below so that I know you'd like to be entered. I'll pick a winner (via random.org) and announce on Friday, March 9th. 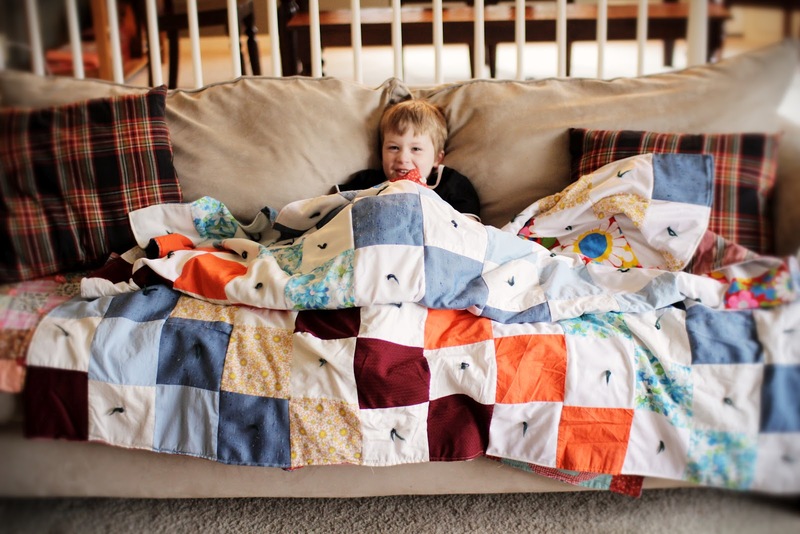 Love quilts! My boys both had hand-tied quilts when they were little. My youngest's is put away; he never used a "blankie". My teenager finally threw his away, in tatters after being lovingly used for years. Needed to comment separately for facebook? also, i shared it on facebook! I "like" you on FB now!!! I'd love to have this beautiful quilt! I "like" you on FB now!! 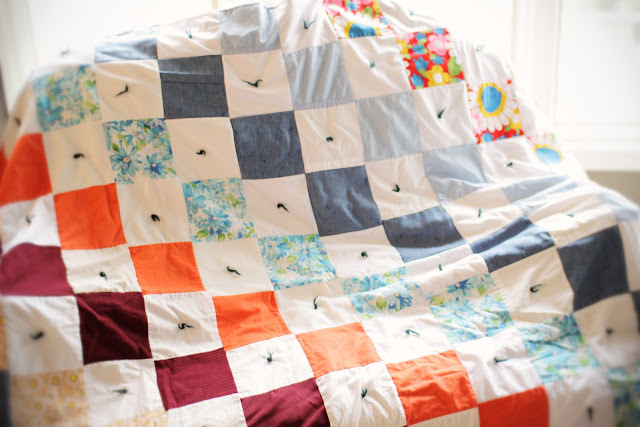 I'd love to be entered to win this lovely quilt! I follow you on FB and shared the giveaway.